New age research recognises that Learning by Doing is the most effective way for children to learn. 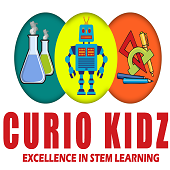 CurioKidz conducts classes in Data Science, Robotics and Science Olympiad. It is located in Saidapet, Chennai. It takes Regular Classes- at the Institute.